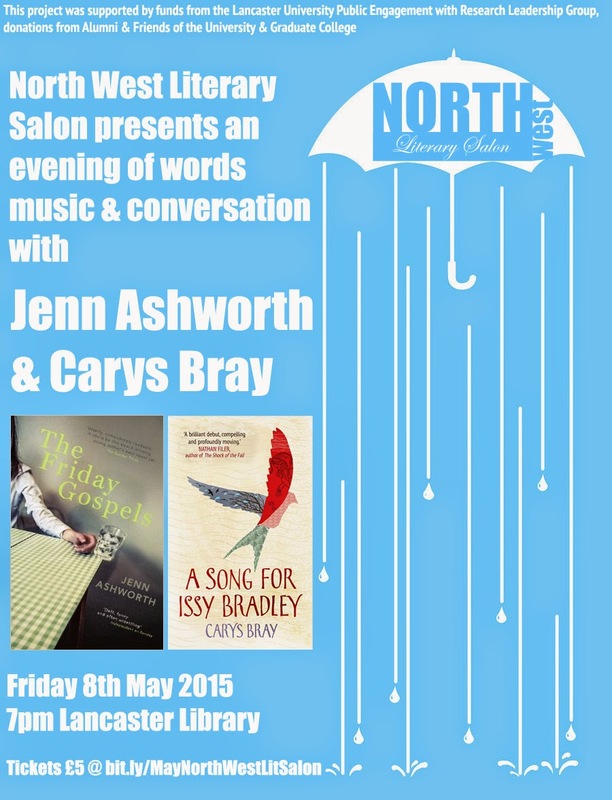 What is North West Literary Salon? When we talk about a literary salon, people have different ideas about what we mean. To some it's writers reading drafts of their own work, to others it's readers reading someone else's work. To us, it's neither. It's living authors telling stories and dramatically reading their work to engage an audience followed by questions, answers, food and music. North West Literary Salon is a new initiative bringing established and emerging writers with a local connection together with the public for dramatic readings (storytelling) and conversation. After the authors read, Naomi and I chair a lively discussion and invite the audience to participate. Food is provided by a local caterer and a local musician will provide music. All for free. The evening lasts an hour. The events will be held in Lancaster Library. What do you need to bring? Bring your thirst for story, your engaging wit and your curiosity. The salon is an evening engaging with story, community and discussion brought about by our love of a good story told well. The first event is May 8 and features Jenn Ashworth and Carys Bray with music by Lancaster University's Rosa Francesca. It will be in the Community History Room at Lancaster Library (in town). The event is open to the public. Supported by donations from alumni and friends of the University, a grant from Public Engagement with Research and Grad College. Order tickets via Lancaster University's online store or here. I could have said yes. I could have said, I will take this glossy eight-page brochure filled with artsy wrapping paper, cutesie pizza kits, and hardened sausage that no one I know actually eats, and peddle it office to office, client to client, colleague to colleague to convince unsuspecting people that paying $12 for $3 gift wrap is a charitable cause. But, I like to think that somewhere between Santa Claus and the Tooth Fairy and just after ‘maybe your dad and I will get back together,’ I stopped lying to my children. Yesterday, my son brought home a glossy brochure and dreams of winning $500 for selling whatever the glossy brochure wanted him to sell. I don’t remember ever believing that pizza, candles, wrapping paper, oranges, candy, or gigantic sausage and cheese would be my claim to riches, a new bike, or an IPOD (ok, a Walkman). I vaguely remember asking my mother to sell things at her work, but that may not be my memory. Still, I recognize the feverish look in his eyes as he talks of amassing a large enough fortune to purchase video games, Tech Decks, and to pay me back the amount I will have to spend on candles, plastic goods, wrapping paper and pizza kits when the people I sell to decide to exercise the laws of reciprocity. My son is a lot like me, he doesn’t know it yet—and sometimes I forget. I forget what it’s like to believe the only difference between what you want and what you have is yes. But, I remember what it’s like to want something. To believe in something. To follow something. And so, tonight as I drive him home from school, I will listen to my son tell me what he is selling and why. I will again remind him to ask his father to take the brochures and attempt to sell items they do not need to people he works with. I will encourage him to solicit neighbors, family and friends. While I will not be indulging in the code of ‘I bought from your child, you buy from mine,’ I may just buy a roll of wrapping paper, a crate of oranges, a kit of “home-made” pizza, raspberry-scented candle, a slice of my son’s dreams. When I wrote this post I was anticipating moving my family for one year. Revising the post after uprooting my family for a four year PhD program in the UK made me smile. I do not live without attachments. I am not free to follow my dreams, wherever they lead unencumbered by the hopes of others, the responsibilities of realities, the tassels of life. There are few of us so transient or selfish or lacking longitude and latitude that we are able to uproot our lives to spend a year seduced by words in a library. I have children. I have a job. I have responsibilities. I have one thousand and one reasons to say no. Yesterday, I submitted my proposal to be considered for a Radcliffe Fellowship. If selected, I will spend a year researching the diaries, memoirs, letters and lives of five women and their relationships with mothers, daughters, neighbors, friends, lovers, strangers: the women who helped craft their lives. I am seduced by words. Yes, No, It’s over, I’m leaving, don’t go, don’t stay, good bye. How can I not explore the worlds of these women? How can I not read their beginnings, not celebrate or mourn their endings? But what about your children, people will ask. And I will stare, perplexed. Is it not understood that where I go, my children go? Is it not customary that if I uproot my daughter from her high school bffs, my son from his middle school buddies, my preschooler from his accomplices, that I will replace said bffs, buddies and accomplices with a bunny, a snake and a dog? And, so, it is with a clear conscience that I remind you, my fellow wait til the children get older to follow your dreamers, to apply for the Radcliffe Fellowship Program. It’s a challenging process: proposals, samples, recommenders, family, ego, friends, work, psyche, bills, reality. The last step is the easiest. I don’t tend to view moves emotionally. In my experience, they have always been for positive reasons—even if I didn’t understand them at the time. As an adult, I’ve been blissfully emotionally and physically unavailable throughout my moves. I can barely remember my move to Maryland over 15 years ago. Later, for my move from my first townhouse to a townhouse with my then-boyfriend (and now ex husband) I was physically unavailable—I was at work. I was nine months pregnant for the move from the townhouse to our home. Packing and unpacking, moving, rearranging, these things are handled, typically, ideally, not by me. Today, at work, we are in the final stages of closing the 23rd floor. Clients are settled into their new offices on the 27th floor. Technology is uninstalled. Furniture is moved out. The furniture move, despite requiring little actual physical energy—from me—was emotionally exhaustive. Selecting a mover, while contingent on estimates and availability—became a matter of which moving company seemed to care most about the move. Yesterday a fleet of movers came to haul, crate and remove remnants of my past seven years. Seven years ago, I was a student at community college. Today, I have my Master’s degree and I am one month away from teaching my first writing class at Anne Arundel Community College. I am one step further on my writer’s path, wherever it leads, I’m getting closer every day. For some reason—and I doubt it’s a flattering one—something about the sunless, cold mornings, the dreary days or the bitter nights, reminds people of me. And, not in a flattering way. The deeper the snow, the lower the temperature, the icier the air, the more texts, instant messages and emails I get from men who for whatever reason, I chose not to pursue relationships with. That they think the cold temperatures might drive me to desperation is either a fault of theirs or one of mine. While I may not remember the name, the face, or the exact reason. I know for whatever reason, I didn’t like the way I felt when I was with the person, or the fact that we didn’t share the same definition of ‘single,’ or that we did not then (and presumably still don’t) want the same things from life, relationships, experiences. I know my standards will change, grow and adapt. I also know they won’t lower, I can’t afford for them to. So, before you send that ‘am I good enough now?’ text to someone you weren’t quite compatible with last year, just anticipate the response. Each minute we are presented with ample opportunities to settle: we accept less than acceptable behavior in children, spouses, dates, friends, family; we justify poor service from waiters, delivery people, taxi drivers; we excuse unpleasant attitudes of teachers, coworkers, and bosses. As we accept less from those around us we become in danger of expecting less from ourselves. I was recently given the opportunity to write a children’s book for a group I enjoy working with in various creative capacities. 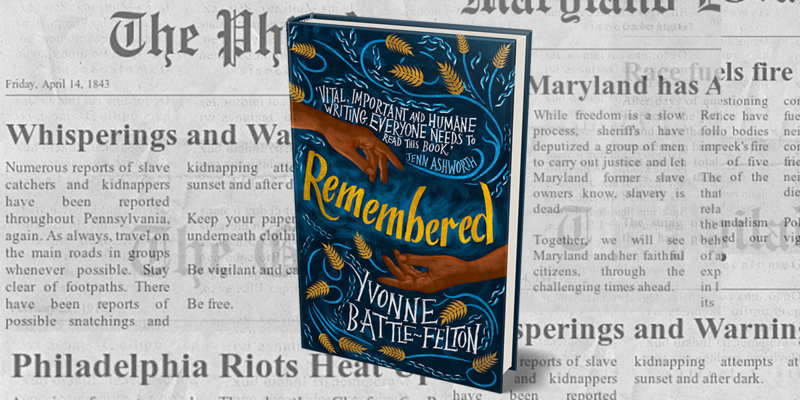 Because the character has no back story, I would be responsible for creating both a history and a story that engaged the wide age range of their expected target audience while delighting parents and educators. It was an exciting project. At once, I began sifting through the information, researching, and mentally plotting. Anxiously, I began writing. I was well into the first chapter when the negotiations began. This was to be my first book so when asked what terms I expected and what price I was asking, I deferred to the Writer’s Market and to the advice of my professor. The rate I proposed, according to the Writer’s Market, was average. I am not an average writer. I research. I interview. I write, revise, listen to the story and then tell a compelling story. I meet deadlines, take critiques well, I am resourceful. I am not average. Still, I felt comfortable recommending the average rate and terms. When the group said my rate was more than they expected to pay and that they thought I could use the opportunity as a stepping stone that put some extra money in my pocket, I politely thanked them for thinking of me and agreed that they should research other opportunities. I realize opportunity does not often knock on one’s door. I am a single mother raising three children, I work full-time, I write in my spare time and research job opportunities when I should be sleeping. Extra income is always welcome. There are, at this moment, at least ten things I could be doing, though I am at my desk doing the one thing I should be doing—the rest will keep at least another thirty seconds. Between being a mom, working full-time, recently completing graduate school, looking for other jobs, finding time to write, finding time for friends and pursuing new relationships, I don’t have a lot of time to waste. Each moment should be wrung of all its possibilities—so, are the opportunity “to get my name out there” and a “little pocket change” worth making time for? I can’t afford to turn down money, but I owe it to myself, my children and my myriad of responsibilities to exercise good judgment and time management. I won’t do a project and put only a sliver of effort into it, miss deadlines or skip a revision because something else is paying more. I face each project as if it is as significant as the next, and it is—my name is going on it. I owe it to myself, my school, my clients, my readers—but, mainly to myself—to write like my pen is on fire. I expected to feel guilty over this project--or the lack of this project. And, if I believed it were my last opportunity to be recognized as a writer, maybe I would. This project was not mine; it was the opportunity to write someone else’s character, to help someone else fulfill their dreams and to lace flesh onto someone else’s skeletal frame. And though I would have written the story like it was my very own, it was not my literary baby. The stories I am meant to tell are those that incite me to action, inspire me to learn, infuse me with voice. I am excited about writing relationships, the psychology of them and how characters influence their plots in fiction and nonfiction. I write of compromise and triumph, of sacrifice and strength. There are many such stories to be told. There were be opportunities to write pieces that motivate people to act on social change, opportunities to write articles that empower people to take control of their stories, opportunities to write stories my soul longs to tell. Perhaps that is why I do not mourn the passing of this opportunity—the story I was going to collect pocket change to write could cost me more in the end than it is worth.